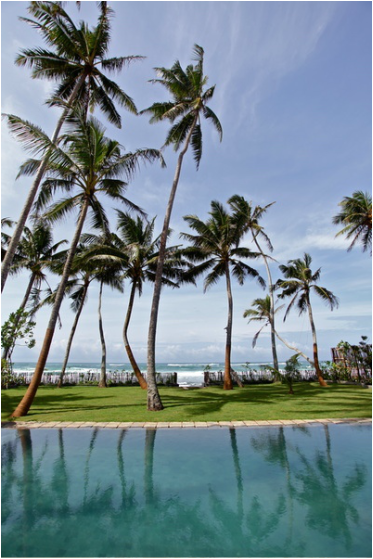 A private,beautiful, modern beach front villa close to the historic town of Galle with two en-suite bedrooms, a large pool situated in a beautiful garden with direct access onto one of Sri Lanka's best beaches. Two double bedrooms with ensuite bathrooms. High speed Internet,DVD and satellite television. Yoga and massage on request. Bedroom 1: Ground Floor. King size 4 poster bed. Ensuite bathroom with shower. Air conditioning and overhead fan. Bedroom 2: Ground Floor. King size 4 poster bed. Ensuite bathroom with shower. Air conditioning and overhead fan. There is a small single third room that can be used if required.